Cruz’s Speech: Start of 2020 Presidential Campaign or Political Suicide? 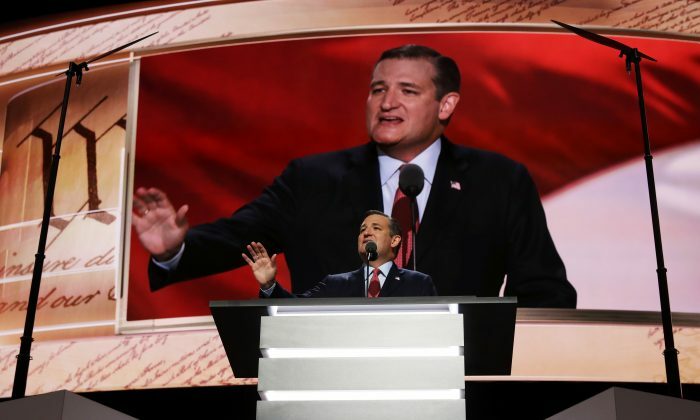 Ted Cruz’s speech at the Republican National Convention sent shockwaves through the GOP after he refused to endorse the Republican’s presidential nominee Donald Trump. The political ramifications for Cruz are unclear at this point, but two conclusions have been drawn—this is either a kickoff for his 2020 presidential run or political suicide. “Tonight is going to be the kickoff of Ted Cruz’s 2020 campaign,” said the Fox News commentator on Wednesday afternoon foreshadowing the speech which would take place hours later. Krauthammer’s foresight was validated by the speech, but in an unexpected way—instead of rallying behind Trump and laying the groundwork within the delegation loyal to the Party and Trump—Cruz made a principled repudiation of the Trump campaign, grounded in the core tenets of conservatism. On the morning after the speech, he doubled down on his non-endorsement and defended his position citing personal attacks on his wife and father by Trump as reasons for his inability to endorse the candidate. The Trump campaign and supporters who spoke at the convention similarly panned the speech as a political misstep that fit within Cruz’s reputation as an outsider unwilling to fall in line with the Party. The nominee of the party is slated to speak on the fourth and final day of the convention, and the stakes to bring together and show a united Republican party are higher following the snub by the second place finisher of the primary season. One of the most outspoken critics of Senator Cruz, Senator Peter King from New York, also weighed in on the controversial speech. “Tonight, America saw the real Ted Cruz. He’s a fraud, he’s a self-centered liar and should be disqualified from ever being considered as a nominee for President of the United States in the future,” King said in an interview with CNN. “First of all it made him a small person and it’s typical Ted Cruz, all about him. But I’d like to maybe remind Ted, America did vote their conscience. They didn’t vote for him,” Collins told CNN. New York—Donald Trump’s home state—was one of the loudest state delegations to boo Cruz off the stage, calling on him to endorse the nominee.